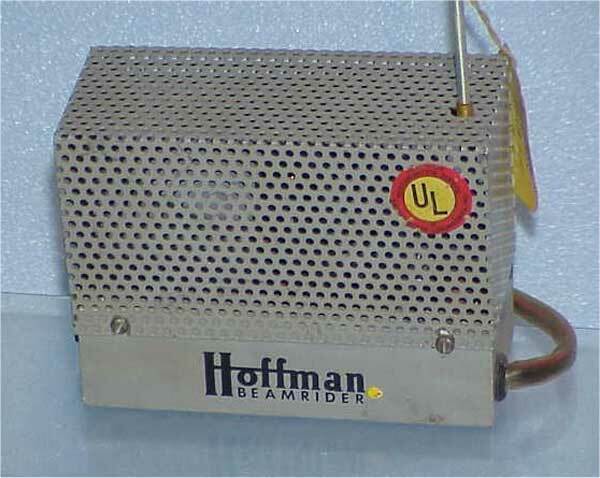 The Beamrider is a wireless remote control used with some 1959 Hoffman sets. 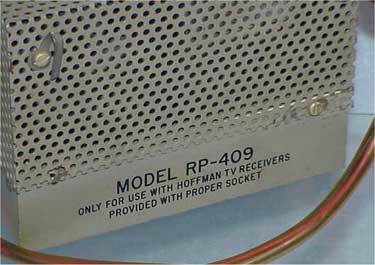 The device shown above is the receiver, which plugs into the back of the TV set. 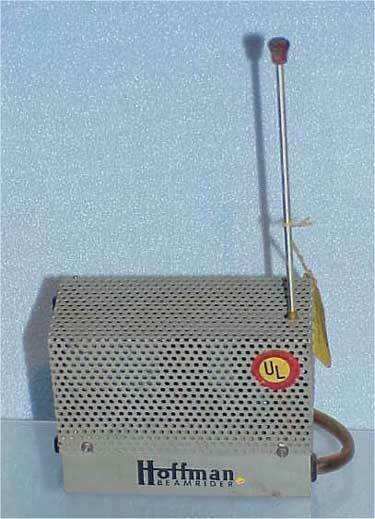 The transmitter uses a single minature tube and operates on 27.1 mHz. 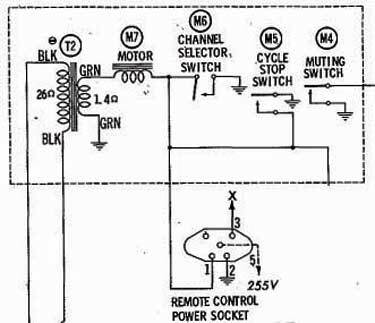 A pushbutton applies power to the filament. 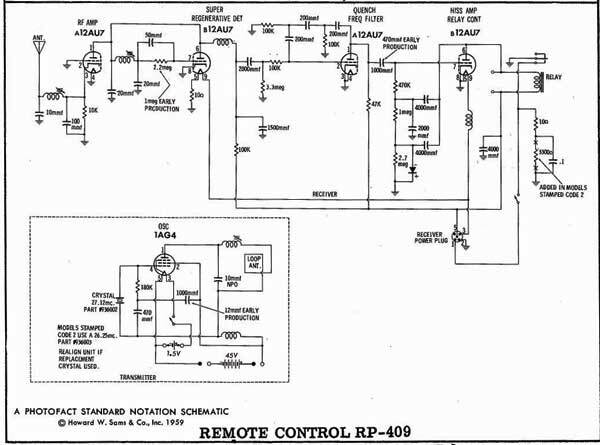 The receiver operates a relay which changes the channel. Here is a 1957 Hoffman Brochure (courtesy of Wayne Bretl) featuring the Beamrider.